Commerce, the live wire of every nation, thrives on globalization. In our today’s interconnected world, cross boarder transactions are the norm and cannot be avoided. International business contracts as well as Bilateral Investment Treaties (BITs) are signed daily to protect international commerce, cross border transactions and investments. Human nature dictates that conflicts will arise in the execution of these transactions. Conflicts are part and parcel of contracts, particularly cross border contracts. For this reason, dispute resolution mechanisms are agreed, setting out the parameters for the resolution of potential disputes before they occur. In a recent survey conducted by White and Case, in collaboration with Queen Mary University, School of International Arbitration on the Improvements and Innovations in International Arbitration, 90% of the respondents to that survey confirmed that international arbitration is their preferred dispute resolution mechanism. On this premise, the question on the ease and mechanics of arbitration and its competence in the resolution of conflicts in the execution of cross border contracts and transactions comes to fore. How can arbitration be a successful tool for the promotion of investment? Due diligence must be carried out on the future stability, predictability, and protection of foreign investment prior to a potential foreign investor making an investment commitment. Arbitration, as noted, is the preferred dispute adjudication method in protecting foreign investment. Undoubtedly, there is a nexus between the existence of a stable legal environment which is pro-arbitration, and the level of investment which an economy can attract. For instance, Bilateral Investment Treaties (BITs) play a role in promoting Foreign Direct Investment in countries. BITs are treaties between countries which protect foreign investors and their investments in a host country. This is essentially by means of the dispute resolution clause in the BIT. More often than not, this is an arbitration clause prescribing arbitration at the International Center for Settlement of Investment Disputes (ICSID). With the existence of a BIT, potential investors and their investments enjoy some amount of security. ICSID, being an institution of the World Bank, enjoys some level of compliance and unreserved enforcement of its arbitral awards; the ICSID Convention being widely assented to by countries who would rather be on the good side of the World Bank. Countries such as Singapore, Hong Kong or Rwanda are premium investment hubs for potential investors. These states each have a thriving pro-arbitration stance to dispute resolution. In simple terms, arbitration friendly jurisdictions are the preferred destination for potential investors. One could argue that arbitration not being subject to any particular jurisdiction essentially wears a “transnational hat” which strategically makes it independent of the national legal system of the host nation. This advantage goes a long way in the minds of investors as the idea of national bias or mistrust of the national legal system of a host state is removed. Also, arbitration enjoys the clout of the Convention on the Recognition and Enforcement of Foreign Arbitral Awards (the New York Convention 1958). This Convention ensures the enforcement and recognition of foreign Arbitral awards in all states which are signatories to the convention. Currently, the convention has 156 members, thus easing the enforcement of Arbitral awards. These features amongst others encourage investments and increase Foreign Direct Investment. Nigeria stands to meaningfully benefit if the investment climate is conducive and receptive to investors. The Nigerian economy, if it must develop, is in dire need of investors who offer expertise, capital and industrial revolution. The speed of the legal justice system in Nigeria is an issue which has been flogged and addressed over the years passed. It takes a commercial matter an average period of 15 years to reach a conclusive end. Arbitration unlike litigation in Nigeria seeks a speedy resolution of disputes meanwhile maintaining a courteous and working relationship between the disputing parties. Arbitration being essentially a party driven dispute resolution mechanism also ensures that parties can appoint arbitrators who are experts in the field of dispute thereby appreciating the mechanics and intricacies of the dispute. Moving from this background, it is safe to say that Nigeria has made definite progress in ADR over the years and with the recent marked growth in foreign direct investment, arbitration would most certainly have a role to play in the protection and sustenance of foreign investment which is fundamental to the growth and development of our economy. Conclusively, arbitration needs to be viewed as a tool which can promote investment with its advantages as stated above. 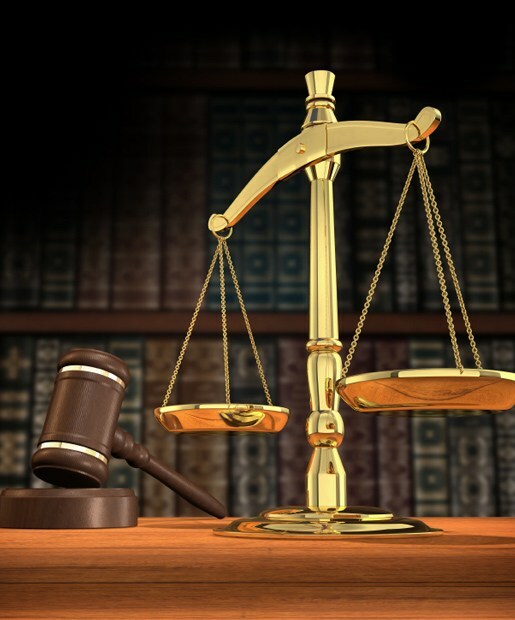 This dispute resolution mechanism allays the fear a partial judicial system which is prominent in the minds of most potential foreign investors.